Evan Williams‘ GRIME, written for the 2013 festival and premiered at the 2013 Make Music Chicago Grand Finale will air on WGTE’s “New Music from Bowling Green” show on December 15. 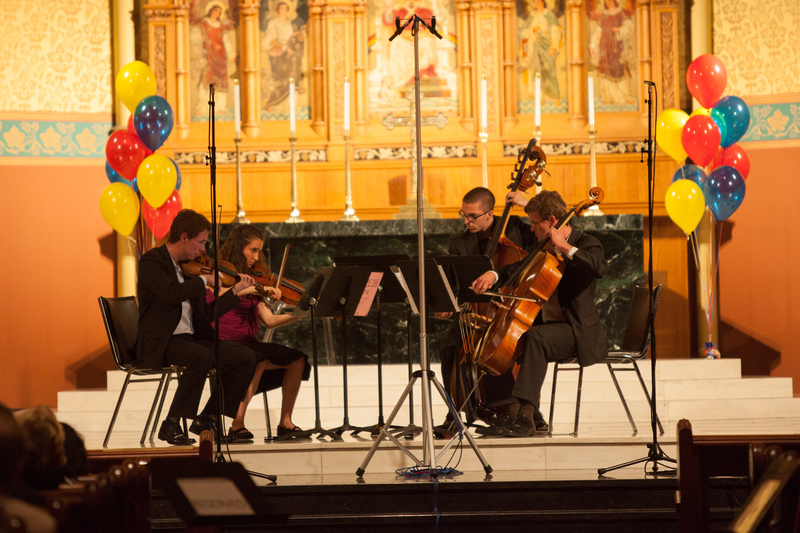 The piece is performed by 5HE’s Andrew Williams, and 2013 participants Rachael Claire Eid-Ries, W. Gage Ehmann, and Andrew O’Connor, and the recording that will be aired is from the 6/21/13 Make Music Chicago Grand Finale performance at Chicago’s Saint James Cathedral. More information about the show on WGTE can be found here.